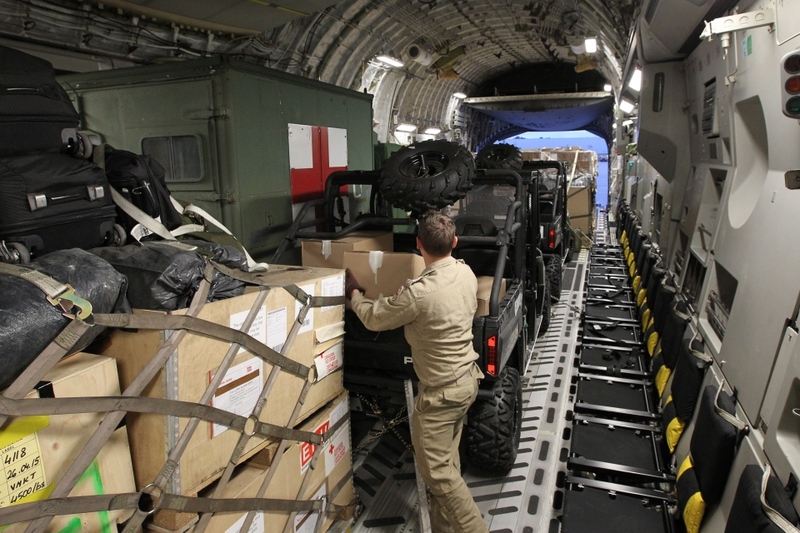 OTTAWA -- The Harper government stepped up its response to earthquake-ravaged Nepal on Sunday by dispatching advance elements of its highly specialized disaster assistance response team. 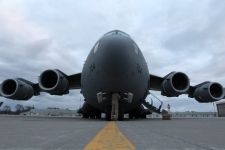 Troops who conduct urban search and rescue and medical personnel departed aboard one of the air force's massive C-17 transports, which is also carrying over 36,000 kilograms of medical and humanitarian relief supplies. Maj.-Gen. Dean Milner, who commands the 1st Canadian Division headquarters, says the plane is eventually bound for Kathmandu, the hard hit capital of Nepal. 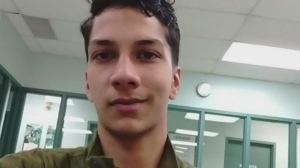 "The critical thing is to get on the ground and determine where we can provide that assistance," Milner said in an interview with The Canadian Press, late Sunday. "I am happy we front-end loaded a couple of these capabilities...We'll be able to provide some rapid assistance, if required." 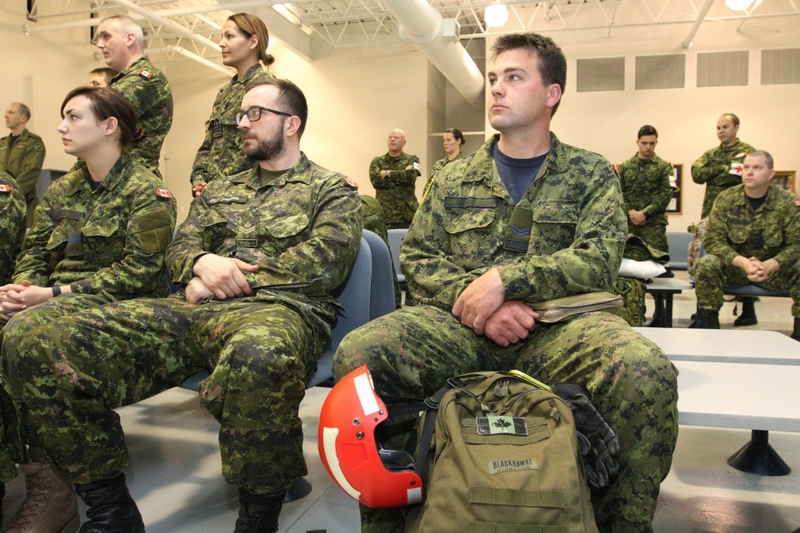 Separately, a smaller team of soldiers and civilians will evaluate how Canada can best assist both in the short and medium-term amid the devastation. That group also departed for the region as the death toll following the magnitude 7.8 earthquake continued to mount. 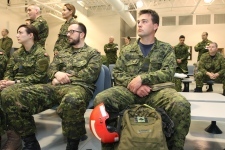 Lauren Armstrong, a spokeswoman for Defence Minister Jason Kenney, says the rescuers and medics are being sent abroad even before the evaluation is conducted because there are some aspects that are already clear. She says the decision is "based on what we know is needed right now." Foreign Affairs Minister Rob Nicholson says it will be a few days before the small evaluation team reports back on the scale of the devastation in the capital, which has seen hundreds of buildings flattened and -- according to one Nepalese police official -- at least 3,218 people killed. Milner said a decision on whether to deploy other elements of the team will come after the evaluation. Asked if there were plans to get Canadians out of the ruined country, Milner said that is not something he's been asked to do at this point, but "the bottom line is that's something we can do extremely quickly as well." The full disaster assistance response team, known as the DART, consists of a medical platoon and mobile clinic, engineers and equipment to clear debris, a communications team and a mobile water purification system to provide cleaning drinking water. It was last deployed to Panay Island in the Phillippines during the fall of 2013 after Typhoon Haiyan. 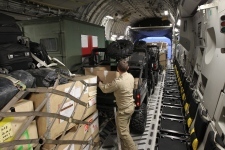 DART also took part in disaster relief operations following devastating earthquakes in Haiti and Pakistan. DART is designed to deploy for up to 40 days to help stabilize the region until the local government and international aid agencies are able to step in with their own assistance. Nicholson says he's spoken with Nepalese counterpart, Mahendra Bahadur Pandey, and "expressed Canada's willingness to help in any way possible." Ottawa announced Saturday it is contributing $5 million to relief efforts. The Department of Foreign Affairs is also boosting its consular staff in the region to assist stranded Canadians. The department said on Saturday that there are 388 Canadians registered as being in Nepal, but cautioned that is only an estimate as registration is voluntary. Nicholson's office was asked, but did not respond to questions about whether the number had been updated and what the status might be of Canadians in that country. The DART became a political football in late 2004 when Paul Martin's Liberal government was seen to be slow in putting the unit into the field after a earthquake and tsunami devastated parts of Sri Lanka. Although the team was ready to go within a day, the government didn't announce its response for 48 hours after the disaster, and it took nearly two weeks for the DART to get going because of a lack of transport aircraft. It was one of the reasons the Conservative government pushed ahead with the purchase of C-17 heavy-lift transports.